Author wayupstudentPosted on December 12, 2016 June 29, 2018 Categories Interviewing 101, The BasicsTags interview, interview tips, postgrad, senior, underclassmanLeave a comment on What is An Interview? Whether you’ve just started looking for a job or you’ve already had several interviews, at some point during your job search you may encounter a panel interview. What is a panel interview? It’s an interview where you’re meeting with a group of people at once (typically between 2-5) and answering questions posed by all of them. It’s important to note that panel interviews are different from back-to-back interviews where you meet with one person after another on a one-on-one basis. Instead, a panel interview means meeting several decision makers at the same time and it’s designed to do three things: save the interviewers’ time, assess how well candidates handle pressure and ensure that the hiring decision is a collective one. Although a panel interview may sound a bit intimidating at first, with a little preparation it’s possible to highlight your impressive qualities and make a great connection with each of the people who are evaluating you. Panel interviews also offer you a chance to explain your background and experience in more detail, touching on some points that you might not have a chance to mention otherwise. 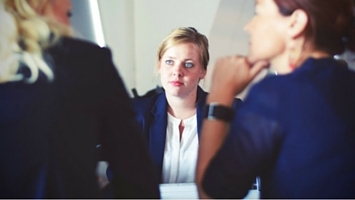 Here are the three main things you need to know about panel interviews. Like a one-on-one interview, the interviewers are trying to assess a few key factors like your ability to do the job and whether you’re a good culture fit. By structuring the interview as a panel, they also want to gauge your ability to communicate ideas to an entire group and to address concerns at both the individual and collective level. In order to address the panel’s questions and demonstrate confidence, focus on the following things as you prepare your answers. If you’re a recent graduate applying for an entry-level job, you won’t be expected to have a lot of professional experience but you will be expected to show that you understand the role and its requirements. To demonstrate your understanding, talk about your skill set and how it applies to the position. For example, if you’re applying for a job in the financial services industry, you can mention things you picked up during economics or business classes in college, like an understanding of financial markets or quantitative reasoning. And if you do have experience in the form of an internship, this is a great time to mention it! With companies increasingly focusing on cultural fit as part of the hiring process, panel interviews are an opportunity for decision makers to ask questions about the kind of environment you thrive in and the types of people you like to work with. In order to show that you’re a cultural fit at the organization, it’s important to research the company beforehand and then to respond to questions from panelists in a way that shows that you understand the company culture. Pro Tip: Engaging the panel both collectively and as individuals is a great way of showing that you’re able to communicate effectively with everyone on the team and to address concerns each person may have. For example, if you’re asked how you would handle reporting to several managers, mention that you would schedule weekly meetings with all of them and then ask what they’re each looking for in an ideal candidate. Pro Tip: Try to memorize everyone’s name and titles. It will help you navigate the interview more effectively and ensure that you’re connecting with all the members of the panel. Although panel interviews can seem intimidating at first, they can actually be a wonderful way to understand the culture and dynamics of a company and to impress multiple people at once. Like individual interviews, the key is to do your research ahead of time and to practice your answers so that you’re able to answer confidently while addressing the group as a whole. Next, get more career tips for internships and entry-level jobs such as How Do I Get a Job in Another City or State? and find answers to common interview questions such as Why Did You Choose to Attend This University or College? Author wayupstudentPosted on September 19, 2016 June 29, 2018 Categories Interviewing 101, The BasicsTags interview, interview tips, postgrad, senior, underclassmanLeave a comment on What is a Panel Interview?